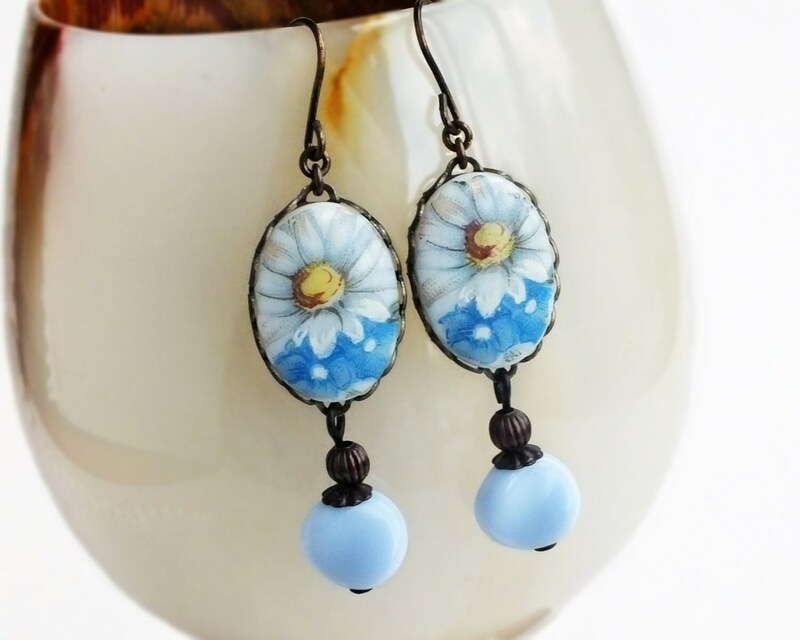 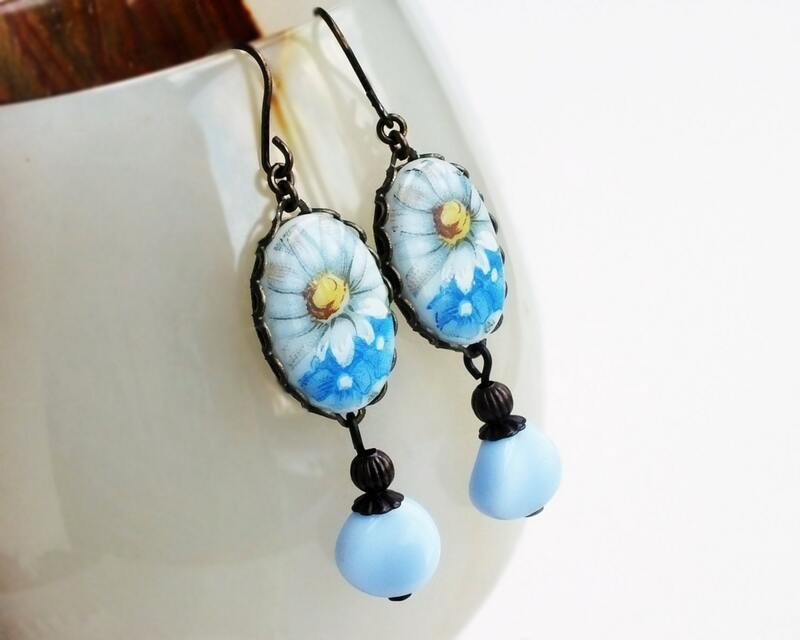 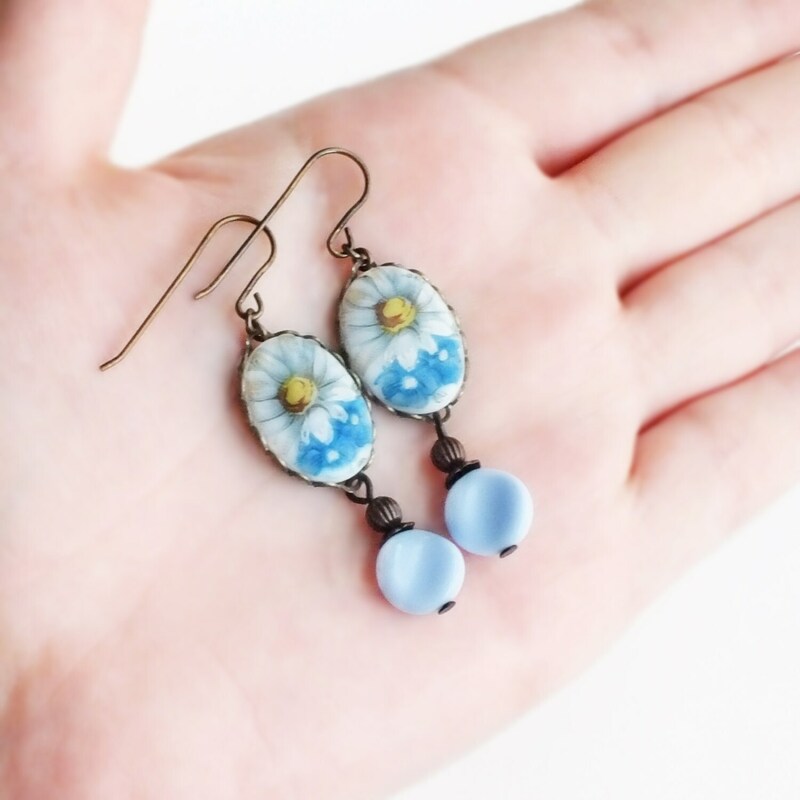 Handmade blue daisy earrings with vintage glass flower cameos. 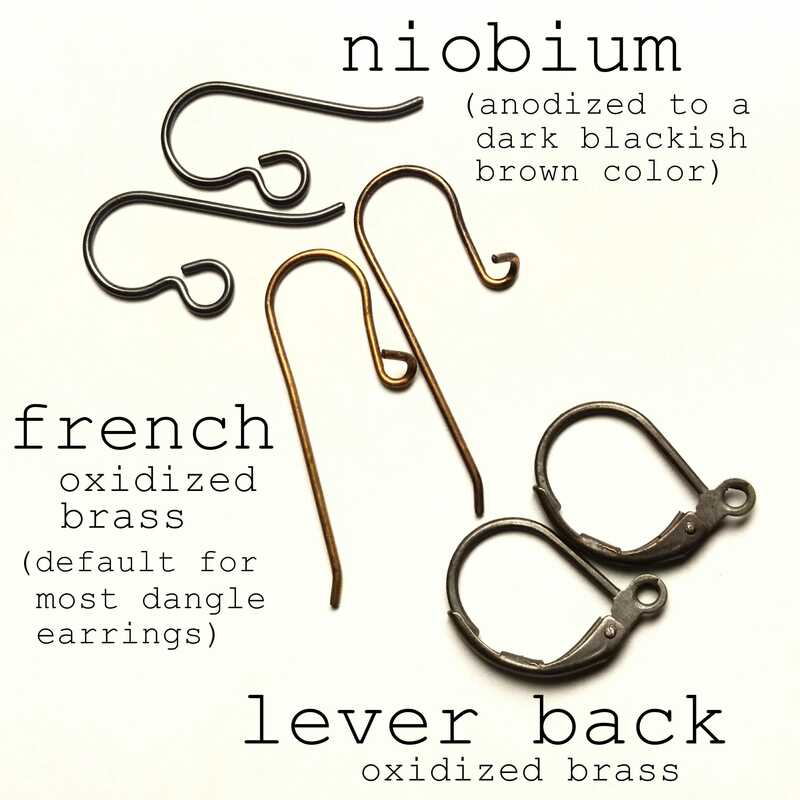 2 1/8 inches - 5.5 cm long. 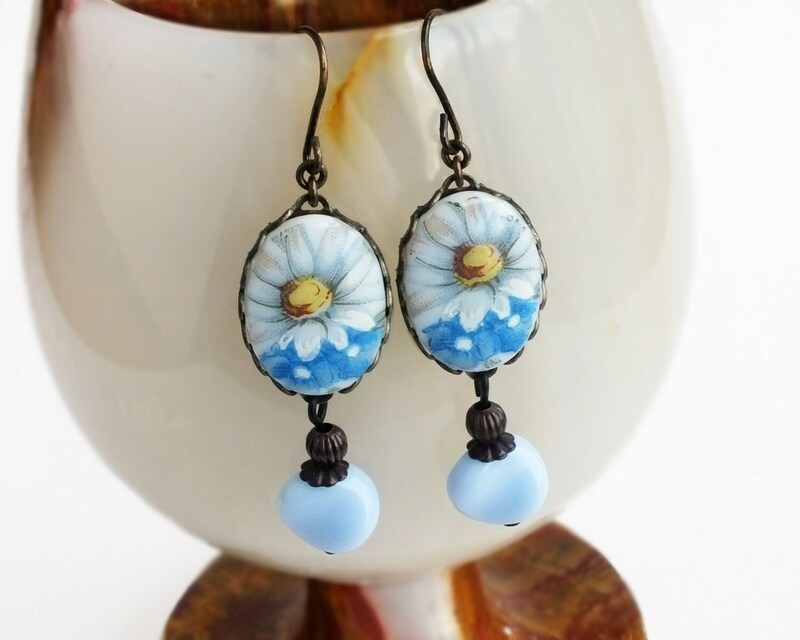 Made with sweet vintage glass blue daisy cameos set in lacy frames. 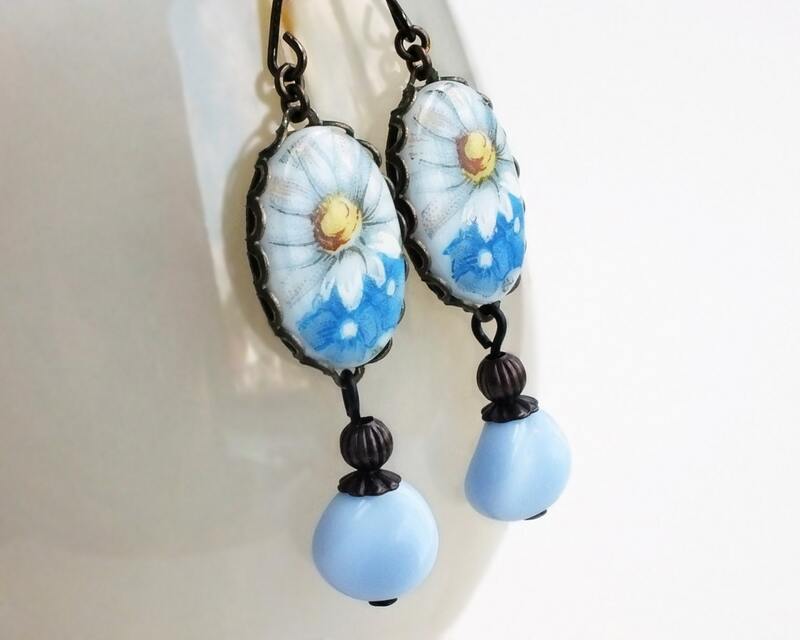 Adorned with smooth pale Lavender vintage glass coin beads accented with dark brass findings.